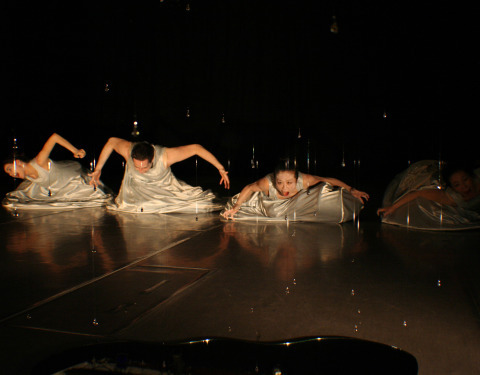 Jon Sims Center for the Performing Arts in 2005 and Project Artaud in 2006. 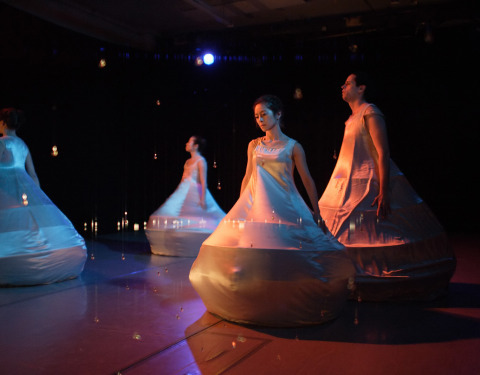 For the show in Jon Sims Center, the artist was nominated for the “Isadora Duncan Dance Award” for ‘Visual Design’ category. 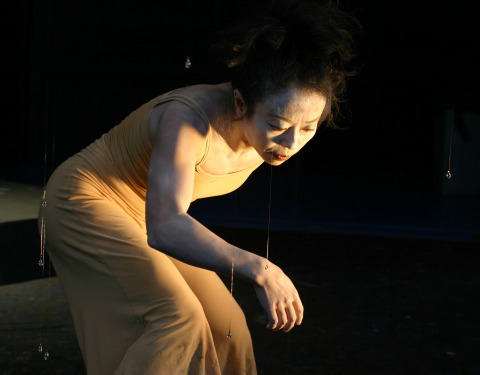 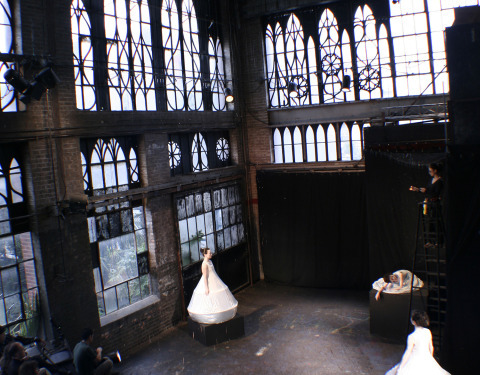 SHIZUKU Drop III in 2006 was 6-day performance at Project Artaud gallery space. 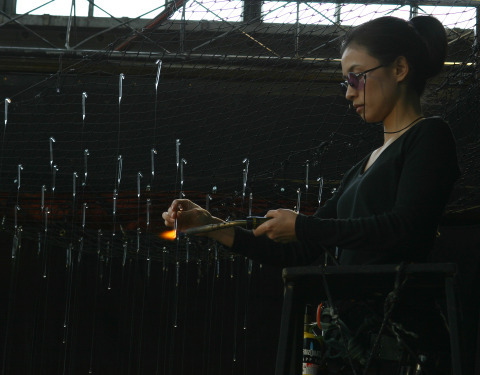 Before and during the performance show, artist kept creating and adding more glass raindrops in the space, filling the space with suspended frozen moment of rain. 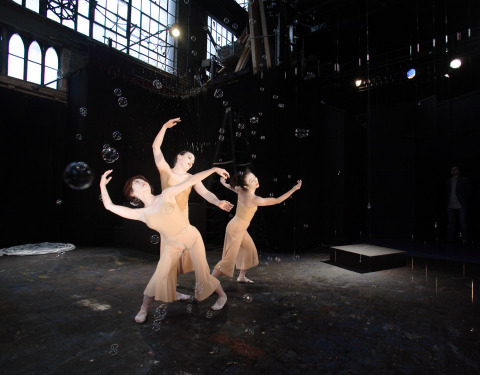 In the sound effect of firing glass torch (portable map gas), the dancers danced with the creation process and shifted their movement accordingly.